Whilst the traditional picture everyone gets in their head of chandeliers is one of grand creations with a Marie Therese design and crystal droplets hanging from every arm, there are actually hundreds of different styles and with the ever increasing popularity of the sleek, sophisticated interior look some designers go in the polar opposite direction of the traditional chandeliers to create beautifully minimalistic pieces. 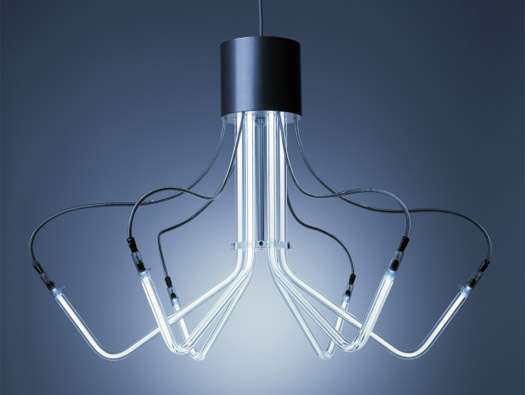 Some of the most interesting and elegant simplistic chandelier designs have been highlighted in Trend Hunters blog on these pieces which you can read here. One of our favourite pieces is featured in this article and we just love the way the designer has used LED lights to give an instant modern update. Which of the designs is your favourite? Or do you prefer an entirely different style of lighting? Let us know! !